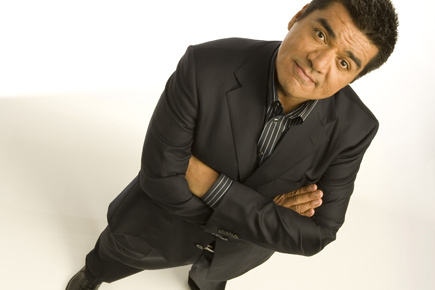 Live Nation is pleased to present comedian George Lopez at the NYCB Theatre at Westbury on Friday, October 17 at 8 p.m. Tickets are $49.50 and $69.50 plus applicable service charges and are available online at www.ticketmaster.com, charge by phone at 800-745-3000 or at the Westbury box office. Event, date and time are subject to change. For more information, visit: www.thetheatreatwestbury.com. This show is for mature audiences only. A multi-talented entertainer whose career encompasses television, film, standup comedy and late-night television, George Lopez has risen to become one of the premier comedic talents in the entertainment industry. He has been praised by audiences and critics alike for his work, as well as his extensive charity work with various foundations. For two seasons, Lopez hosted Lopez Tonight, a late-night television talk show on TBS, which represented Lopez’s return to series television after co-creating, writing, producing and starring in Warner Bros. Television’s groundbreaking hit sitcom, George Lopez, which ran for six seasons on ABC. George Lopez remains a hit with viewers in syndication on both broadcast stations and cable’s Nick at Nite, ranking as one of the top-rated shows on the network and among the top five comedies and top 20 weekly programs in syndication. George Lopez is one of only four off-net comedies to post weekly ratings gains among households from the 2007–08 to 2008–09 season. In addition, Lopez is no stranger to film, having voiced the character Rafael in the 2011 animated blockbuster, Rio, along with Jamie Foxx, Anne Hathaway, and Jesse Eisenberg, and Grouchy Smurf in the 2011 3D family comedy film, The Smurfs. Other recent film credits include the box-office hit Valentine’s Day, directed by Garry Marshall; The Spy Next Door; Beverly Hills Chihuahua; Swing Vote; Henry Poole Is Here; and Balls of Fury. In July 2012, Lopez filmed his third HBO Comedy Special, George Lopez: It’s Not Me, It’s You, which is also the latest comedy album from the comedian. In 2009, Lopez filmed the HBO Comedy Special, Tall, Dark and Chicano. He headlined his first HBO Comedy Special, America’s Mexican, in 2007. Lopez has also performed as part of HBO and TBS’s Comic Relief 2006. His acclaimed comedy concert, Why You Crying?, debuted on Showtime in 2004. Lopez released his third standup CD, El Mas Chingon, in 2006, earning a Grammy nomination in the category of Best Comedy Album. Prior to that, in 2004, he was nominated for a Grammy in the same category for his CD, Team Leader. Lopez also was the focus of the award-winning documentary Brown is the New Green: George Lopez and the American Dream. In May 2004, his autobiography, Why You Crying?, entered The New York Times Bestsellers Top 20. The book was co-written by Emmy® winning writer and sportscaster Armen Keteyian. His current book, I’m Not Gonna Lie: And Other Lies You Tell When You Turn 50, was published in 2013.